It’s been 3 weeks since we brought home these two beautiful kittens, Buddy (was Coco) and Belle (was Beatrice). They settled into our home immediately and are doing really well and are growing every day. They love to play together and run around the house throwing their toys about at all hours and can certainly eat! Buddy is the more affectionate of the two and will sleep on our bed and purr all through the night, whilst Belle is the more adventurous and can scale curtains, wardrobes and anything else that looks like fun to climb! 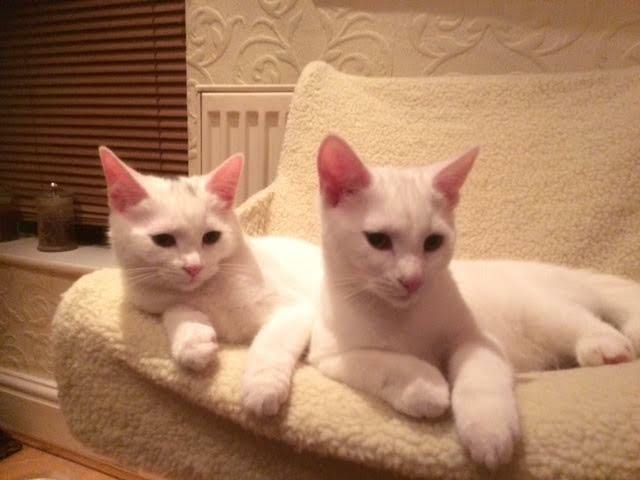 We definitely made the right decision when we offered these two their forever home and would like to thank the amazing team at Tharg for giving them such a great start.